It is no surprise that a writer pens poetry to the woman he loves, especially when her life-long passion is theatre, drama, plays and Shakespeare's sonnets. And that the offering will be grandiose, florid, passionate pastiche because the writer can only pit a miserable wit against an over-shadowing genius. Nevertheless, it was greatly appreciated by the Lady from the start. She was gracious, sometimes even overcome by my efforts. Neither is it unexpected that the poetry will sink to introspection and despair when the writer learns his loved one is dying. You can't present poetry about the nuances of death to the dying. It was fortunate she mentioned how she had loved her nursery toys when a child. Early in the sequence I introduced a parallel world, one relating to the toys but placed in the setting of her beloved home, King's Court. Hope, tenderness, reassurance could be expressed in this noble nursery theme. The change shows from about halfway through the sequence as her health deteriorated. 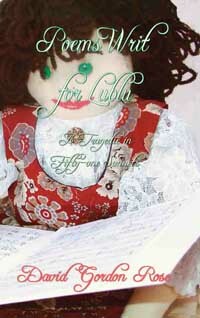 These fifty-one sonnets Poems Writ for Lublu: A Tragedie in Fifty-one Sonnets are almost the only poems I have written. It was a steep learning curve but surprising how quickly one can get a feel of a literary form, especially when driven. I have been embarrassed with a wife turning to her husband and asking "why don't you write poetry like this to me?" The simple answer was that my friend was dying. The inevitability concentrates the mind and it was a way that both of us could come to terms with it. 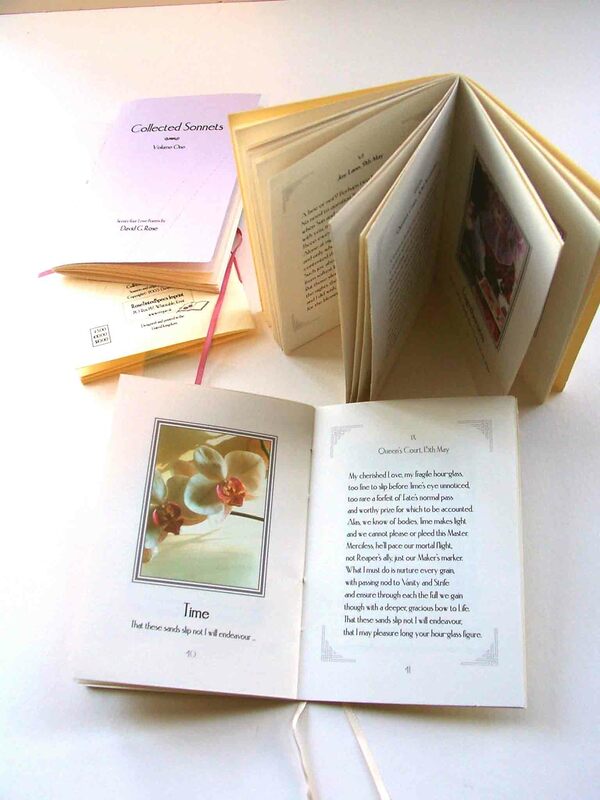 There is more information on the Poems Writ for Lublu page on my publishing site where you can also read Sonnets I-V and the accompanying notes. The paperback and e-book are available through Amazon. Here are Sonnets X, XXVIII, XXIX and XLVII. 'cross endless empty morns of cosmic dust. a Milky Way laid fresh as loved ones yield. we will go far our star-gazed lovers' flight. twice now tumbled with the naughty witches. all she needs is love and fine new stitches." the gathered courtyard crowd began to sing. before their Mistress left for her repair. Pierrot held her tight and kissed her dear. He was there and nothing need she fear. my Sylvan Sprite I gaze upon in awe. through Summers fresh to dance and Autumn stroll. on which, my Beauty, I do silent weep. savouring his slumbered charges sweet. that she did cast her basketful of wishes. awaiting the return his Rag Doll Queen. He cannot go alone where lovers dream.